Serve bisques, soups and more with artisan style for lunch or dinner guests using the Rachael Ray Cucina Tools Lazy Ladle, a professional-quality kitchen tool that boasts innovative, modern design and earthy, rustic color. 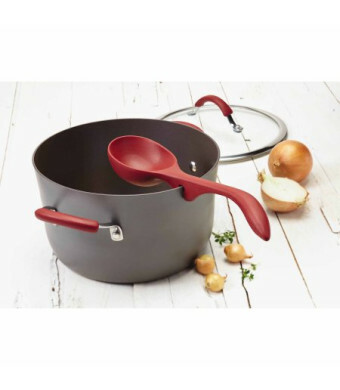 A clever notch clips the ladle directly onto the sides of cookware, keeping it conveniently within reach while containing drips inside pots and pans. 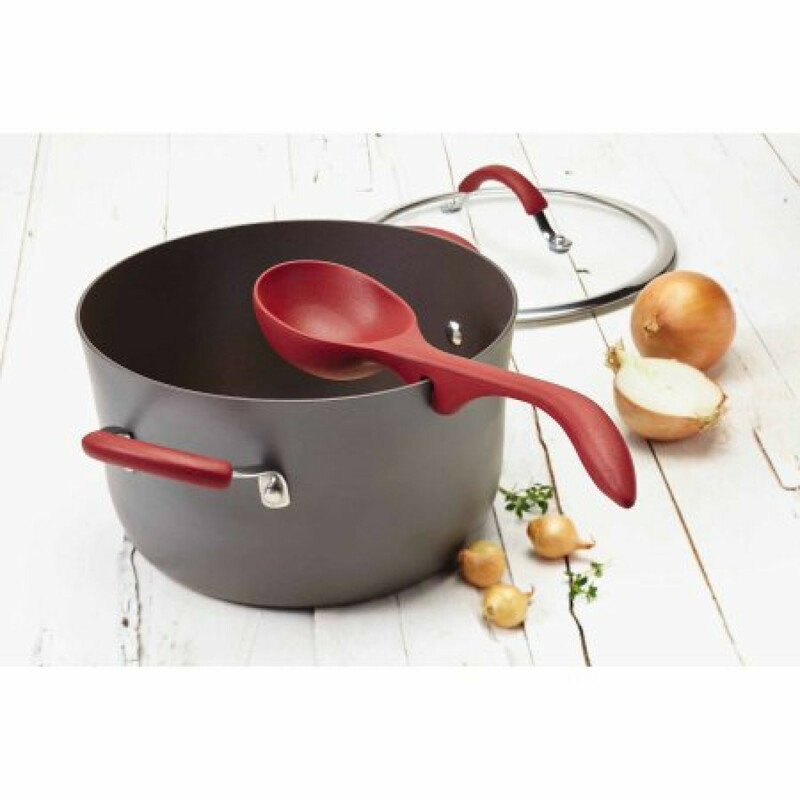 The silicone ladle has a contoured handle for extra comfort while transferring flavorful soups to serving bowls. Adding warmth to winter, the ladle gracefully rests on the side of a stockpot filled with Rachael's aroma-filled Sausage, Vegetable and Potato Soup. In the summertime, bring it onto a candlelit rooftop terrace and serve chilled gazpacho. Ideal for use with all cookware interiors, including nonstick, the ladle is heat safe to 500 degrees and dishwasher safe for convenience. This colorful kitchen ladle is a great complement to other attractive items in the Rachael Ray Cucina collection.